Seth MacFarlane’s Sketch Comedy Show! Now that Downton Abbey’s done for the season (I HATE you, Downton Abbey, BTW. ), Sunday nights have returned to a doldrum of channel-surfing. We’re flipping through last night, and landed on this crazy concept comedy show–I thought it was SNL, but I was kind of surprised because it was on ABC, so maybe it wasn’t SNL, but some other new sketch comedy show. It ran a little long, but in that We’re-going-on-too-long-because-we-know-it’s-too-long way. And I don’t know how they managed to get like every star in Hollywood to cameo, but I guess Lorne Michaels does have a lot of power–I mean, he got Adele AND Shirley Bassey AND Barbra Streisand to perform. In sequins! Anyway, it was basically a send-up of the Oscars, and how hilariously awful it would be if Seth “I Like Poop” MacFarlane hosted it. It even opened up with this totally meta sketch where Captain Kirk shows up and tells him not to host, because if he does he’ll be excoriated for it, and then shows him this musical number that will get everyone calling him a sexist. 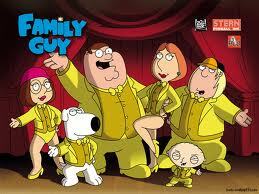 I think Seth MacFarlane is the taller one in this picture. So the whole show was about how he’d fail, and they open with warning him he’ll fail and then he DOES fail, but only in the warning–It’s like FAIL-FAIL-FAIL. Super-meta, man. Meta. Then he goes on to make Rihanna jokes, because part of the conceit of the show was that it’s 2007; then he compares the woman who engineered the death of Bin Laden to a nagging girlfriend. Being that I’m totally a feminist, I thought all the jokes were absolutely hilarious, because I’m pretty cool with the guys, and I know Seth MacFarlane isn’t really a sexist, because someone who’s really a sexist wouldn’t say those things because all sexists are afraid of seeming sexist. And it’s all good because it’s a comedy show, which means that you can totally act like you’re a sexist, because then everyone can laugh at the sexist laughing at sexist jokes, and you’re not really laughing with the sexist. And, let’s face it: that Zero Dark Thirty woman was probably really annoying with her “100%” BS. Even though it wasn’t BS. The really amazing thing was all the guest performers, which–brilliant!–were almost ALL women! So while he’s doing his I’m-not-a-sexist-just-telling-sexist-jokes bit, he’s positioned himself among women who apparently have more talent in one labia that he’s got in his entire body. And then Michelle Obama shows up–no lie! Michelle Obama!–surrounded by the military, and it was getting pretty late so I didn’t quite catch all of it, but it was totally weird and totally, totally meta. The only down spot was Daniel Day Lewis, who showed up late in the show (what the heck was HE doing in a sketch comedy show, anyway? They couldn’t get Alec Baldwin?). He was all “I’m a humble gentleman” and classy and self-effacing, which kind of ruined the concept of the whole night. It kind of made me hope Seth MacFarlane would actually host the Oscars for real some day. I mean, if he knows it would be awful to make those jokes, then I know he wouldn’t actually make those jokes, not for real. I can’t wait to see what he comes up with. This entry was posted in Wait...Did That Really Happen? and tagged family guy, oscars, seth macfarlane. Bookmark the permalink. To be fair, Jody, you do have … an apt way of skewering sexism. I really liked how he followed Adele’s amazeballs performance with a fat joke that insulted both Adele and Melissa McCarthy. Take that! Adele.